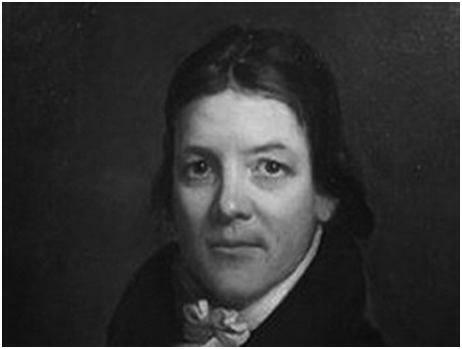 John Randolph was born on June 2, 1773, at Cawsons, a plantation in Prince George County, Virginia. He was educated at the College of New Jersey, Columbia College, and the College of William and Mary. He studied law with his relative Edmund Randolph, then attorney general of the United States. Randolph was elected to the House of Representatives in 1799 and served in Congress almost continually until his death in 1833. He was a brilliant orator, known and feared for his biting and sarcastic wit. An outspoken champion of individual liberty, he staunchly defended the Constitution and states' rights, and his views were influential in the South long after his death. By 1801 Randolph opposed President Thomas Jefferson's attempt to obtain West Florida from Spain. He voted against the Embargo Act of 1807 and opposed the War of 1812. This cost him reelection, but he was back in the House two years later, in 1815. An ardent states' rights advocate, Randolph denounced the tariff of 1816, which he believed harmed Southern interests, and opposed chartering the Second Bank of the United States. In 1820 he denounced the Missouri Compromise as a cowardly surrender to antislavery agitators. His impassioned denunciations of Henry Clay and John Quincy Adams led to a duel with Clay (1826). Randolph was appointed to the United States on December 8, 1825, to fill the vacancy caused by the resignation of James Barbour; he served from December 26, 1825, to March 3, 1827, and was unsuccessful in his bid for reelection in 1827. He was elected to the House and served from 1827 to 1829. He was a member of the Virginia constitutional convention at Richmond in 1829. President Andrew Jackson appointed Randolph United States minister to Russia in 1830. His health deteriorated soon after his arrival in St. Petersburg, so he returned home in 1831. Following his return he denounced Jackson’s proclamation against nullification. Randolph was elected to the Twenty-third Congress and served from March 4, 1833, until his death in Philadelphia, Pennsylvania, on May 24, 1833. He was buried at his residence, “Roanoke,” in Charlotte County, Virginia, and later reinterred at Hollywood Cemetery. Source of information: Special Collections, University of Virginia Library. Contact Information: Albert and Shirley Small Special Collections Library, P.O. Box 400110, University of Virginia, Charlottesville, Virginia 22904-4110.